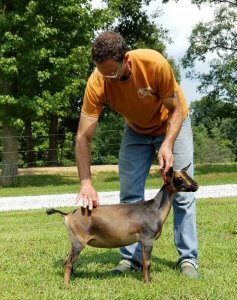 “Dahlia” is the daughter to the 2018 ADGA National Champion, CH Wood Bridge Farm Scarlet Rose. She is sired by the son of the 2014 and 2016 ADGA National Champion, CH Wood Bridge Farm Belladonna, Wood Bridge Farm Bridge of Bella. 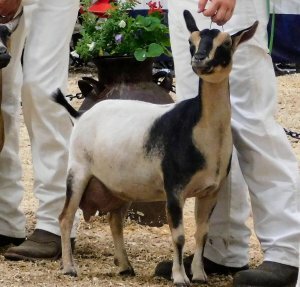 Below is a picture of Dahlia’s Dam, the 2018 ADGA National Champion, CH Wood Bridge Farm Scarlet Rose.